Passenger wait times at Dubai International (DXB), the world’s busiest airport for international passenger traffic, dropped by up to 10 percent during the first quarter of 2017 following the implementation of new technology. During the first three months of 2017, 84 percent of transfer passengers were processed within five minutes, 68 percent of arrival passengers were processed within 15 minutes and 87 percent of departing passengers were processed within 10 minutes. Smart Gates are one of the major technological advances bringing down transaction times and queues at immigration checkpoints. Passengers use Emirates ID cards to pass through automated immigration gates at DXB, which operator Dubai Airports has said pushes down transaction times to an average of 10 to 15 seconds per passenger. Since the introduction of Smart Gates last year, more than 1.3 million UAE users have taken advantage of the service. Completely free of charge and requiring no pre-registration, the service is available on some 120 Smart Gates across DXB and makes passing through immigration fast and convenient for all UAE residents. The second technology behind shorter wait times is a sophisticated motion sensor system that allows the airport to track queues in real time. The system comprises a series of 530 sensors that have been installed at crucial passenger processing areas in Terminal 1 and Terminal 3 at DXB. Theses sensors track the movement of people, collecting and computing valuable data such as passenger wait times and queue lengths, and based on those factors, calculating the prevailing level of service. The data is conveyed via a simple mobile application used by more than 5,000 operational staff across Dubai Airports, airlines and control authorities working at the airport. The mobile application alerts all teams in real time and allows Dubai Airports operational staff to quickly identify bottlenecks and facilitate the deployment of resources to address them. Terminal 2 implementation is slated to take place during 2017. 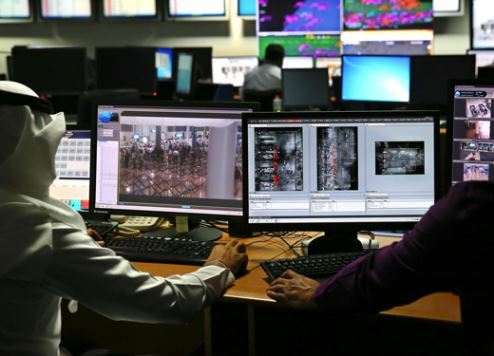 “This automated system provides us with timelier and more accurate data more quickly than the manual system that was used previously,” said Frank McCrorie, senior vice president of operations at Dubai Airports. The access to historical, day-to-day, month-on-month data also means Dubai Airports’ planning teams can identify trends and predict problems before they occur. The analysis has enhanced collaborative decision making between stakeholders and boosted service levels. Both technologies support Dubai Airports’ DXB Plus programme, which is designed to improve service while increasing capacity to 118 million passengers at DXB by 2018.